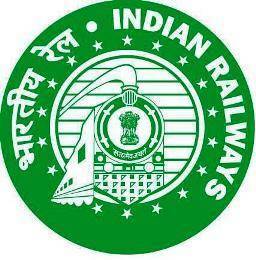 West Central Railway WCR Railway Recruitment Cell RRC Recruitment 2014 for Group-D posts (10th / ITI Passed) Job Vacancies 2014 www.wcr.indianrailways.gov.in. Railway Recruitment Cell RRC Jabalpur recruiting the 10th passed or ITI passed candidates for the Group-D posts to fill the 4517 vacancies under the recruitment 2014. Interested candidates can apply online or offline as given in the advertisement published on the official website of cell – www.wcr.indianrailways.gov.in. Please read the following requirement and important details regarding the west central railway recruitment. Railway Region: West Central Railway WCR, Jabalpur. Total no. of vacancies: 4517 posts. 10th class (SSC) or ITI passed or equivalent qualification from any recognized board are eligible to apply for these vacant posts. Age Limit: 18-33 Years (Relaxation in age as per Govt. norms). Rs. 100/- for General and OBC Category candidates in the form of D.D Demand draft from any nationalized bank in favor of FA & CAO, West Central Railway, Jabalpur payable at Jabalpur. More details given in the advertisement notification, download from following links. Last date to submit application form for remote areas: 30 January, 2014. All the applicants will be shortlisted on the performance of the written examination results, followed by the physical test for the final selection. All the interested and eligible candidates are advised to download and read the following notification to know more about the recruitment.